Rehabilitation. The word invokes images of restoration, new beginnings, and wellness. When it comes to addiction rehabilitation those terms are especially meaningful, and should include the addition of one more: life. For addiction is a chronic, relapsing disease that, if left unchecked to progress, will eventually cost a person their life. Rehab offers a chance at stopping that disease progression and giving the individual a second shot at attaining a quality life. Taking that important step to entering a rehab program can stoke lots of different emotions. These might include fear, ambivalence, anxiety, and hope. 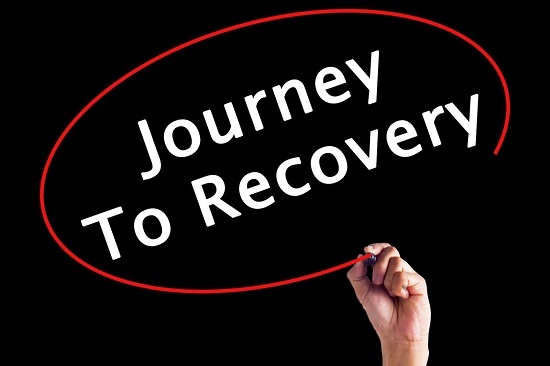 Having a general idea of what to expect in a 30-day rehab, with the 30-day program being the most used option, can help prepare someone mentally for the process of starting their personal journey to recovery. A 30-day inpatient addiction treatment program provides the individual with the opportunity to safely detox from the substance of abuse, and then access various therapies over the final three week program to learn new coping strategies for managing stress, anger, grief and loss, trauma effects, anxiety, and frustration. In many cases, these emotional sources are what fuel the abuse of drugs and alcohol, so learning how to better manage these stressors can help the individual live a life of sobriety. The 30-day rehab program involves residing at the treatment center for the duration, with 24-hour support available. Addiction experts at the rehab will include doctoral and masters level psychologists, psychiatrists, addiction counselors, and adjunct therapists for yoga classes or art therapy, for instance. Some rehabs also have a medical doctor on staff. The initial goal is to detox and stabilize the client so they will be mentally alert for entering meaningfully into the therapies over the upcoming weeks. The rehab environment is highly structured to create a predictable, stable space for healing and personal growth. Most rehabs also offer recreational diversions to help balance the program. Upon intake and admission into the program, the client will most likely need to complete a detox period before entering treatment. Detox and withdrawal symptoms vary depending on the substance of abuse, the history of substance abuse, and the amount of the substance usually consumed. Detox programs are usually monitored closely by trained medical detox personnel who will provide interventions and treatments as withdrawal symptoms emerge. Rehabs also provide free time for reflection, completing homework assignments, or enjoying visits from family. Most addiction recovery programs utilize behavioral-based therapy modalities, including cognitive behavioral therapy (CBT), dialectical behavior therapy (DBT), Contingency Management therapy, motivational enhancement therapy (MET), and solutions focused therapy. These types of therapy are short-term and goal oriented, well adapted to addiction treatment programming. Of these therapies, CBT is by far the preferred modality. CBT helps clients identify irrational thought patterns that have, in the past, resulted in drug or alcohol use as a coping measure. Once the client learns how to reframe their thought patterns with positive, goal-oriented messaging, their behavioral responses change from destructive to constructive. One of the most important things clients take with them upon completion of a rehab program is a sound relapse prevention plan. 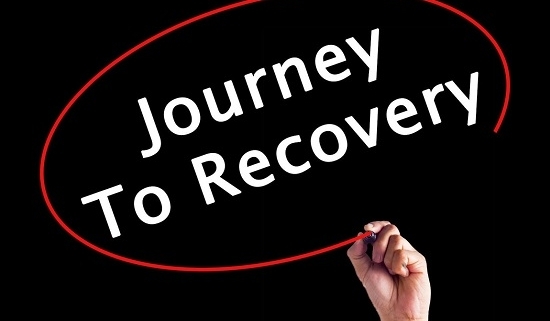 Early recovery is a very tenuous period, with many challenges faced while attempting to adjust to regular life again as a clean and sober individual. Often the recovering individual has to find work and sort out various personal issues related to the addiction fallout. This period can feel overwhelming and can trigger a relapse if one is not adequately prepared. Addiction education and relapse prevention planning are essential components woven into the rehab curriculum. Clients should feel confident that they have thoroughly considered the people, places, situations, or things that might trigger a desire to use again, and have a management plan ready to access if needed. Too often, clients, in their haste to pick up their lives again and move forward after rehab, neglect the important aftercare component of addiction treatment. Aftercare therapy provides ongoing outpatient counseling services to help guide and support individuals during the early days of recovery. It isn’t easy to just resume life and expect no hiccups along the recovery path. Weekly therapy sessions, group or individual, can give the client a sounding board for issues that may pop up and threaten sobriety. Sober living is another important aftercare measure to consider. Sober living provides clients in early recovery with a drug and alcohol-free living space where they can ease back into life beyond rehab. This transitional housing can offer more time to solidify all the new coping tools and communication skills taught in rehab before confronting a world saturated in alcohol and drug use. Sober living also encourages the social support that is so important in order to avoid feelings of loneliness or isolation. Solutions 4 Recovery is a premier addiction and dual diagnosis treatment program located in Southern California. What sets Solutions 4 Recovery far apart from other programs is its emphasis on creating a completely unique and tailored treatment plan for each and every client. Solutions 4 Recovery understands that each individual client has unique treatment needs, life experience, and personality traits.